Historically, Separation plants have been the bottleneck in many tunneling projects, resulting in lost time and money to the contractor. Before the start of the project, It is very important to plan ahead to have the properly sized and correct equipment in working place. Note: poor planning results in poor performance and money lost. GN Solids can offer customized mud system matching with your TBM. Drilling mud treating capacity is from 200gpm to 1000gpm respectively. 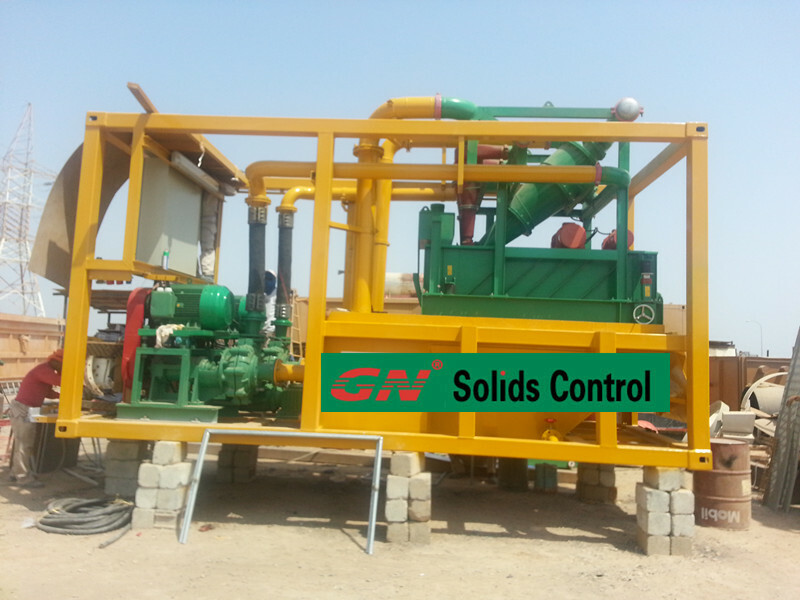 Please contact GN Solids to get proper solution for your tunneling project. Separation plant is easily to be ignored. Most contractors focus on the performance that can be expected from TBM. In most cases, these machines can meet requirement, even exceed the expected advance rate. However, separation plant is not the same. Contractor easily overestimates the capabilities of the separation plant, due to the inability of the plant to keep up with the amount of solids that are being generated by the TBM, resulting in the slowdown of the advance rate. Both are very importance: choosing the correct TBM and choosing the correct separation plants. How to do? Firstly, you shall analyze the geotechnical data, the separation plant should be designed to accommodate the majority of the material expected to be processed. Secondly, considering unknown factors that can affect the tunneling advance rate, the contractor must have adequate separation equipment to allow the contractor to move forward at an unimpeded rate when the tunneling conditions are favorable. 3. What will happen if separation plant cannot match the advance rate? It is too often that contractor can find favorable tunneling conditions that can produce fast advance rate; however, only to find out that the separation plant cannot handle the amount of material, and the advance rate has to slow down to. (2) Filling tanks with solids and creating a major problem with the slurry that can cause excessive wear on the TBM and ancillary components. If this cost was to be put on a spreadsheet, it would be phenomenal and be an eye-opening experience for the contractor.